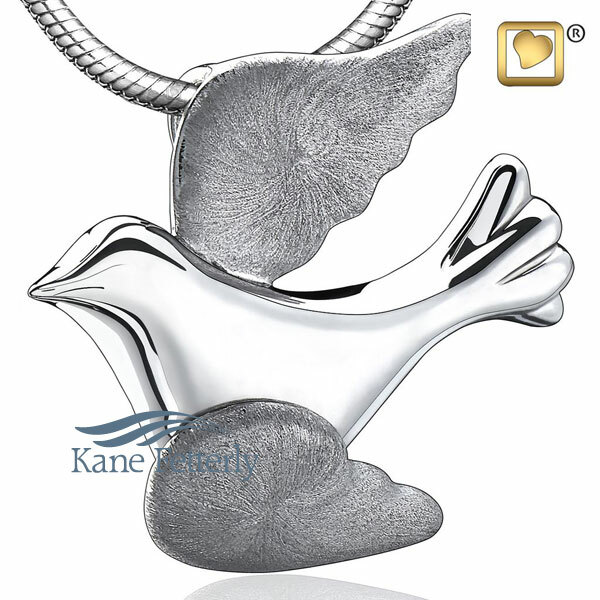 Dove pendant in rhodium-plated .925 sterling silver, two-tone finish. 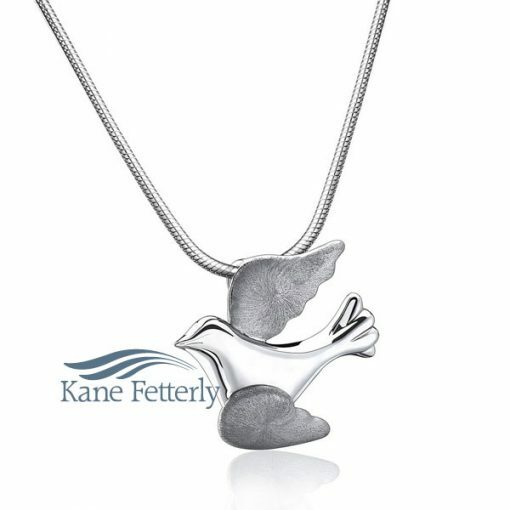 Sterling silver 20″ chain included. The pendant features a small compartment designed to hold a token of ashes. Delivered in a jewelry box with a small scoop designed to transfer the ashes.